This month we featured 4 different woodworkers in both Wood News Online and The Highland Woodturner, all of whom submitted their shops and projects, and were chosen to be featured in our online publications. Show Us Your Shop: Howard Boehm shared his garage workshop, which he built up around his tablesaw, the center point of his shop. Some of the conveniences of Howard’s shop include having most of his heavy machinery on wheels, as well as having his electrical and dust collection underground, which gives him more space to work within the shop. 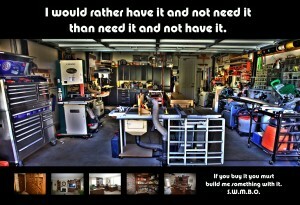 Below is a panoramic picture of Howard’s shop as well as a few small thumbnails of his projects. 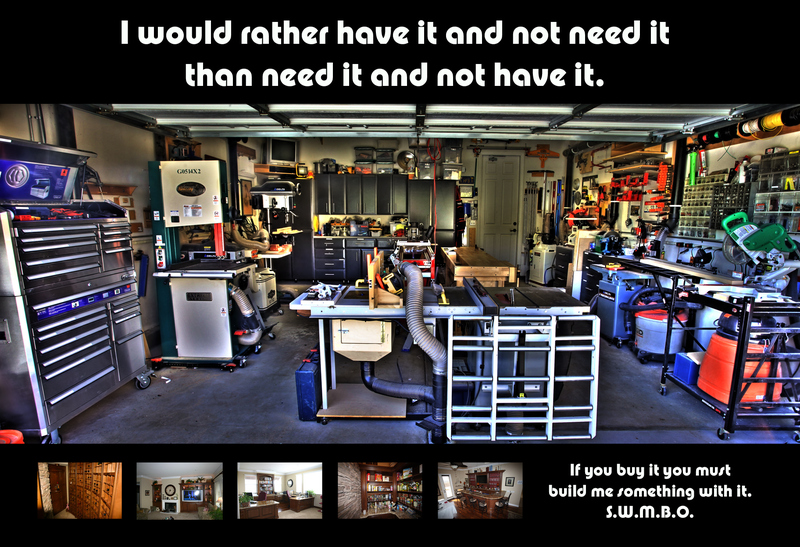 You can view more detailed photos of his shop and projects HERE. Show Us Your Woodworking: Mike DeCarlo has been building stuff since he was a kid, using whatever tools were available at the time. In college he was able to take a Furniture Making class, which was outfitted with many different hand and power tools that he got to test and use for his different projects. 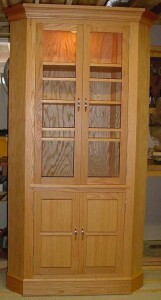 Below is an Oak Corner Cabinet that he built for a friend after seeing the project featured in a magazine. CLICK HERE to see more of Mike’s projects. 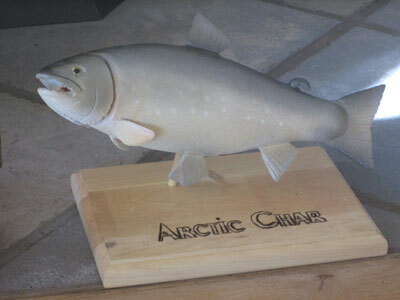 Show Us Your Woodcarving: Phillip Malenfant lives in North Pole, Alaska. He has done several plane and fish carvings, which reflect his former occupation of working for an airline, as well as one of his current hobbies, fishing. He is not a trained carver and instead picked up the hobby by just experimenting with a few chisels one day. CLICK HERE to see more of his carvings. Show Us Your Woodturning: After having learned woodturning in middle school shop class, Robert Wallace took a 20 year “hiatus” from the hobby and spent more time doing regular woodworking. After his daughter was born and slept in the room near his shop, he decided he needed a quieter method of woodworking and switched back to woodturning. For the past 22 years he has been making some beautiful projects, which have been featured in several galleries and competitions, as well as his local woodturning club in Ames, Iowa. 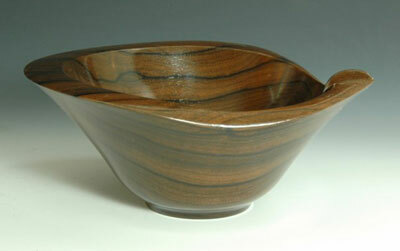 CLICK HERE to read more about Robert’s woodturning and to see more of his projects.